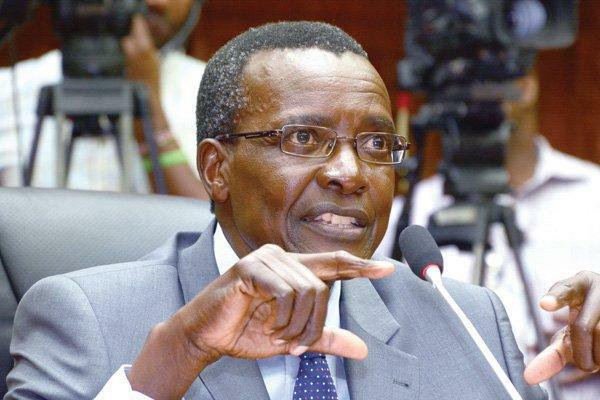 Tuesday January 29, 2019 - Chief Justice David Maraga is reportedly angry with the conduct of the Director of Criminal Investigations (DCI), George Kinoti, who is blatantly ignoring court orders. On December 6, last year, the High Court barred Inspector General of Police, Joseph Boinnet, and DCI boss, George Kinoti's office from posting mugshots of suspects on social media before they are arraigned in Court. But the DCI began the New Year by posting pictures of suspects arrested for being in possession of game trophies, leopard skin, ivory, rhino horn and a tortoise before they were arraigned. On its Twitter account on Monday, DCI posted a mugshot of Nakuru Town East MP, David Gikaria, who was taken to court over eight counts of land fraud. On Tuesday, the DCI posted the mugshots of three Chinese nationals - Xing Wei, Zhang Jie and Shang Li and a Kenyan - David Maseno Oseko, who were arrested in Kilimani, Nairobi. The posting of the mugshots did not sit well with some Kenyans on social media who accused the DCI of breaking the law. "‏By posting these photos DCI has gone against court order and have broken the law too," @Otiken2015 wrote. Though Maraga is yet to speak about the issue, his close aides said the CJ is angry with the DCI’s behavior.